Tech will drain the tank, flush it and replace the plug as needed. Tech will then replace the Anode Rod as needed, check P&T Valve, replacing it as needed and clean & adjust burner tube & flame. This Service should be completed every 12 months. Tech will clean the following: the return filter, the evaporator, the condenser coil and the fan blades. Tech will also inspect the drain system, wiring, seals and gaskets. Tech will then oil the fan motor. Tech will test the operation of burner system, clean burner area and flute, adjust flame and check for propane leaks. Tech will check for operation and lube any blocks, gears or linkages that require lube. Tech will also check for damages to shear pins, gears, hoses or connectors. If the RV is a towable, the tech will test, clean and lube the tongue jack and stabilizers. If the RV is a 5th wheel, the tech will clean and lube the landing gear, and stabilizer. If the RV is motorized, the tech will clean and lube the leveling jacks. Tech will remove the furnace for complete inspection. Clean return air system, check for obstructions in the vents. Then inspect and clean the following: wiring, Sail Switch, Burner, Heat Chamber, Intake and Exhaust Ports. This Service should be completed every 24 months. Tech will test the battery performance, clean the terminals and confirm that all of the charging systems are working as designed. Tech will also top off the water in each cell of the battery. This Service should be completed before and after every trip. 1-Tech will change the engine oil and filter. Then the tech will lube the chassis, top off the chassis fluids and inspect the belts, hoses and other rubber parts. This Service should be completed every 12 months if the coach is driven for less than 12,000 miles per year. This Service should be completed every 5 years. This Service should be completed every 4 years. This Service should be completed every 2 years. Tech will confirm operation then replace the fuel filter. Tech will then inspect combustion chamber for warpage then clean the area. Tech will also inspect the burner, clean electrodes and sensors. Tech will complete the service by replacing the fuel nozzle and testing for operation. Note: additional time may be charged for access to the Aqua Hot unit. McBride's RV became a warranty provider and dealer for Workhorse Chassis in 1999 (when Workhorse bought out the GM motorhome line). 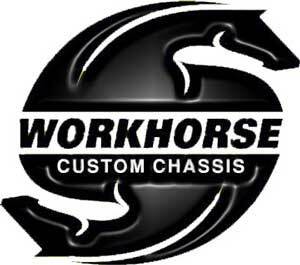 All of our technicians have completed all Workhorse training classes and have been certified by Workhorse. We are very knowledgeable of this chassis and its workings. In addition to repairs and service, we provide the only Online store for all Workhorse repair parts. McBride's RV became a warranty provider and dealer for Spartan in 2010. We are certified to work on the Motor-home Chassis and the Fire Truck Chassis. 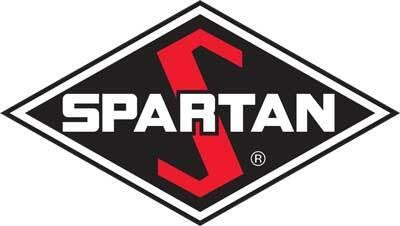 We also have all the tools and backup tech support needed to diagnose issues with the Spartan chassis and all the components on it. Our Technicians are thoroughly knowledgeable of the Ford Chassis. We have repaired, maintained and serviced the Ford product for over 40 years. Though we are not a Warranty Provider for Ford, we have been authorized to complete warranty claims to accommodate many RV Owners. In these situations, the customer typically pays the Invoice and the manufacturer reimburses the customer within the 30 days. Our Technicians are knowledgeable of the Freightliner Chassis. We have serviced the Freightliner product for over 15 years. Due to the radius of other automotive shops, we are not a Warranty Provider for Freightliner. Our Technicians have the skills and tools to diagnose major engine failure, control failures and ignition systems as well as sensor systems and run-ability issues. In addition to standard transmission service, we also provide replacement, upgrades and complete overhauls. Well over 40 years in the industry, our technicians have kept up with all the new technology and electrical systems. We have the equipment and skills to maintain, service and upgrade all brake parts. McBride's is one of the few shops in California with a full size alignment rack. We also specialize in air ride systems for Diesel Pushers. Fuel systems today are more complex than ever before. Our technicians have the experience that's needed to diagnose and repair all components to these systems. Our technicians can diagnose, service and repair dash a/c systems. This would encompass every component in the system like: compressors, hoses, dryers, evaporators & condensers. With years of experience in RV and commercial generators, you can have confidence that our technicians can diagnose and repair any issues that may arise. Additionally, as an Onan warranty provider, our technicians have been factory trained to service, diagnose and repair all of Onan's generator products. Power, manual, window, slideout, and entry door awnings; all can be serviced by McBride's. We can repair, replace or upgrade these awnings. We are also a warranty provider for Dometic and Carefree. Toilets, showers and dirty plumbing. Sinks, faucets and clean plumbing. Additionally, we provide support and service for chassis and house batteries. We currently stock Lifeline and Interstate batteries. We are a factory authorized service center for Aqua-Hot. We can perform your annual service and repairs to your Aqua-Hot system.